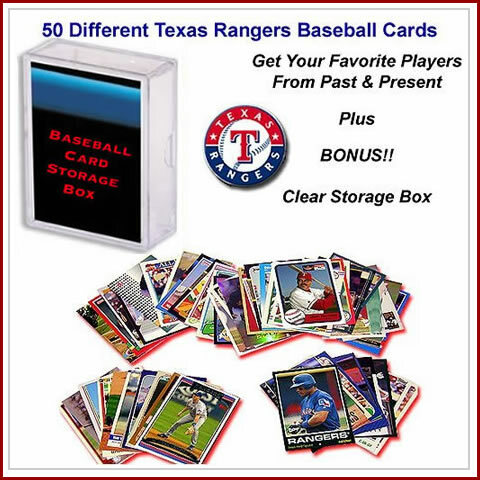 This 50 count baseball card collection is a assortment of baseball players who have played for the Texas Rangers from the last three decades. This collection includes players from the last 30 years! Each collection is unique and different and is a guaranteed way to remember some of baseball history. BONUS: Includes hard plastic protective case. This product was added to our catalog on Saturday 21 August, 2010.